This is the Carzone.ie guide to buying a used F-Type. The Jaguar F-Type is the spiritual successor to one of the most famous, iconic and stunning cars of all time, the Jaguar E-Type (1961-1975). The F-Type’s name is the giveaway to that lineage and both the Coupe and Convertible body styles it is offered in look like modernised versions of the graceful old E-Type, but the modern Jag also fulfils a second role in replacing the company’s aged XK8 four-seater GT. To that end, the F-Type – throughout its production life – has been compared to many wide-ranging, premium sports cars and GTs. 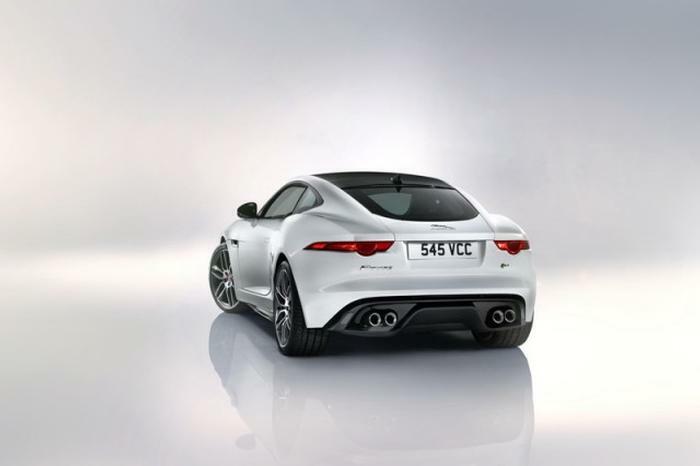 The F-Type launched originally as the Convertible in 2013, with a choice of two engines split across three models. A supercharged, 3.0-litre V6 petrol was found in the 340hp ‘V6’ model and the same engine, tuned up a little, delivered 380hp in the ‘V6 S’, which also gained additional equipment like a limited-slip differential, over and above the 340hp F-Type. Sitting above these was the V8 S, which used a 5.0-litre supercharged V8 to churn out a colossal 495hp. All three cars employed an eight-speed automatic gearbox and drove the rear wheels alone. When the hard-topped Coupe version arrived a year later, the same three drivetrains were ported over, but in the case of the V8 model the power was hiked considerably to 550hp, giving rise to the F-Type R Coupe. This engine was subsequently used in the Convertible, too, so the 495hp V8 S was dropped after just one year of soft-top production. As part of a range-wide overhaul and visual tidy-up in 2016, a six-speed manual was offered as an option on V6-equipped models, while all-wheel drive could also be fitted to more powerful F-Types (the 340hp base car was the exception) – meaning the F-Type R Coupe and Convertible twins could be optioned with all-corners traction, improving their 0-100km/h acceleration times to around four seconds dead. In 2016, a faster, spoiler-toting, 575hp iteration of the V8 was launched (in both Coupe and Convertible shapes) as the F-Type SVR, while 2017 saw the introduction of a 2.0-litre, turbocharged four-cylinder petrol engine and a shift in badging (this car was known as the F-Type P300, to reflect its 300hp output), while a limited-run Sport 400 used an uprated version of the 380hp V6 and sharper chassis settings, resulting in a 400hp V6 F-Type that – some would say – was more fun to drive than the V8 models. There was also an extremely low-build, high-cost speedster version (without a roof) with the 575hp V8, called the F-Type Project 7, which was sold in 2015. No matter which F-Type you buy, all of them can do at least 260km/h flat out and even the slowest, the P300, will run 0-100km/h in 5.7 seconds, while the V8 models are capable of 300km/h and more, meaning every F-Type is a very fast car. The V8s are hard to ignore but they’re also very, very pricey to buy and run, even second-hand. And while the Convertible looks lovely, it has feeble packaging (the boot, in particular, is woefully small) and the Coupe is lovelier again. If you can find a Sport 400 Coupe, they’re well worth the extra premium, but, for most people, the 380hp V6 S Coupe will be more than enough. Just one, unusual word of warning (when it comes to sports cars): avoid the manual transmission. Much as a three-pedal F-Type is a little more involving to drive on the right roads and in the right traffic conditions, for the vast majority of the time the eight-speed Quickshift automatic is the superior gearbox for the Jaguar sports coupe. And its hugely reduced CO2 numbers, compared to an equivalent manual, mean it costs much less to tax it each year. The Jaguar F-Type is not the most practical vehicle, given even the Coupe variants have two seats only, and it weighs more than 1.5 tonnes in all of its guises – in some cases, getting on for two tonnes, with a V8 engine and all-wheel drive. But these are the only major flaws with the beautiful, sensuous F-Type, which is one of Jaguar’s most alluring models in decades and a great used-car proposition if you’re in the market for a traffic-stopping, thoroughly thrilling sports coupe or convertible.